Although the quality of healthcare in Springfield and Central Illinois is very high, healthcare providers are not infallible. They can make mistakes that can result in catastrophic consequences for both the patient and his or her family. But, of course there is much more to it than that, particularly the ability to prove it and the path to follow to pursue legal action. You must show that there was a violation of the standard of care. You must prove that the violation resulted in a condition that otherwise would not exist. 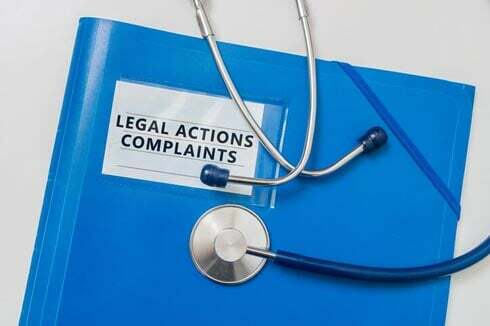 At Wolter, Beeman, Lynch & Londrigan, LLP we have the experience, knowledge, and expertise in dealing with medical malpractice litigation and can help evaluate your claim. Let our team guide and assist you in pursuing your claim. With over 145 years of combined experience in the state of Illinois, we are uniquely qualified to help you. We serve all of Central Illinois, including Springfield, Jacksonville, Lincoln, Decatur, Litchfield and all surrounding areas. We will pursue all that you deserve in restitution for your injuries. We never charge an attorney fee unless we win your case. Call us today for a free consultation at 217-753-4220.